If you come to find out that fungus has infested your property, then you can rely on the mold removal Westfield team at 911 Restoration of Indianapolis to extract every trace of the mold from your household. To make it easy for you to schedule an appointment with our technicians, we keep our phone lines available 24/7/365, because we want to get to you as soon as we can to begin the remediation process. Let us take care of everything when it comes to mold, and call our licensed, bonded and insured mold removal Westfield technicians today, so we can start the process with a free visual mold inspection. When our mold removal Westfield agents are called to a job, we will check in places of the home that are prone to water, such as basements, attics, bathrooms, under sinks and on roofs. Call our mold removal Westfield specialists as soon as you notice any sign of mold growth on your property, and we will immediately clean up the fungus and prevent it from spreading. We understand that being told that you have a mold infestation in your home can be a really overwhelming experience, so our mold removal Westfield pros make it their top priority to make you feel calm and comfortable when we arrive. Customer service is an important part of this process. This is why we always have representatives standing by, so you can ask us any questions you may have about the fungus extraction procedure. Being available to you around the clock is our way of showing you how dedicated our mold removal Westfield crew is to our customers. We always perform at the top of our game, never leaving a job site until the work is perfectly completed. In addition to keeping you calm, cool and collected, we also will provide you with affordable prices on all of our mold, fungus and mildew remediation services. 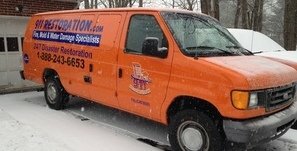 So, call our mold removal Westfield workers at 911 Restoration of Indianapolis today and we will do whatever it takes to get you on the road to a fresh start.